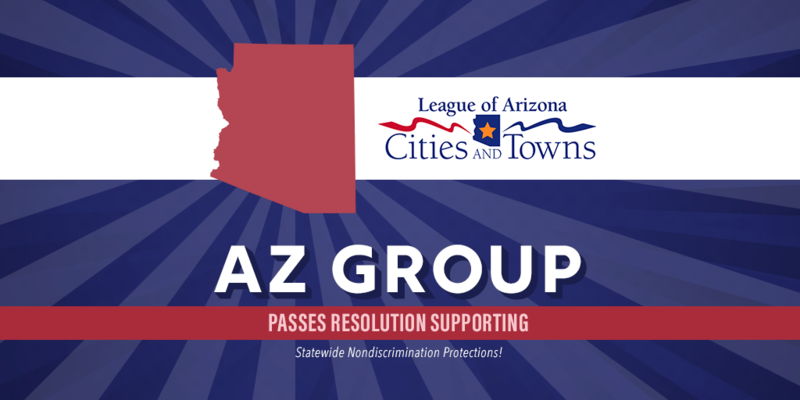 The League of Arizona Cities & Towns, a coalition of Arizona municipalities has adopted a resolution in support of a statewide nondiscrimination law that would protect LGBTQ people from discrimination in housing, employment, and public accommodations, showing increasing support in the Grand Canyon State for statewide protections. The resolution, which reads: “Amend statute to protect from discrimination based on sexual orientation or gender identity,” was passed on August 21st by the Resolutions Committee. The conversation about LGBTQ nondiscrimination isn’t new to Arizona – to date, five cities in the state have already passed their own comprehensive protections, including Tucson, Sedona, and capital city Phoenix. Despite the progress, Arizona is one of 31 states without comprehensive state-level LGBTQ nondiscrimination protections. ONE Community Arizona, the state’s leading LGBTQ advocacy group, welcomed the resolution’s passage. To learn more about the history of nondiscrimination in Arizona, click here to visit our state page. And click here to read more about ONE Community AZ.